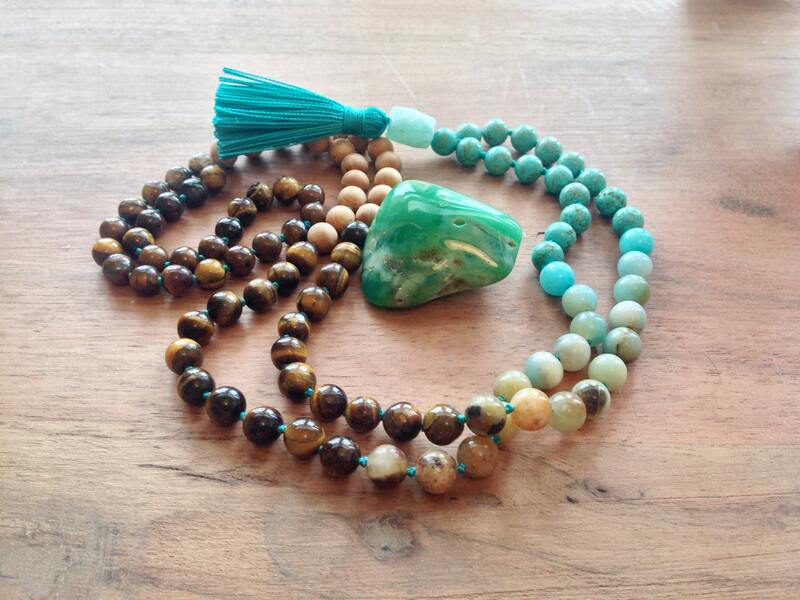 Mala beads are a set of beads that have traditionally been used in prayer and meditation. 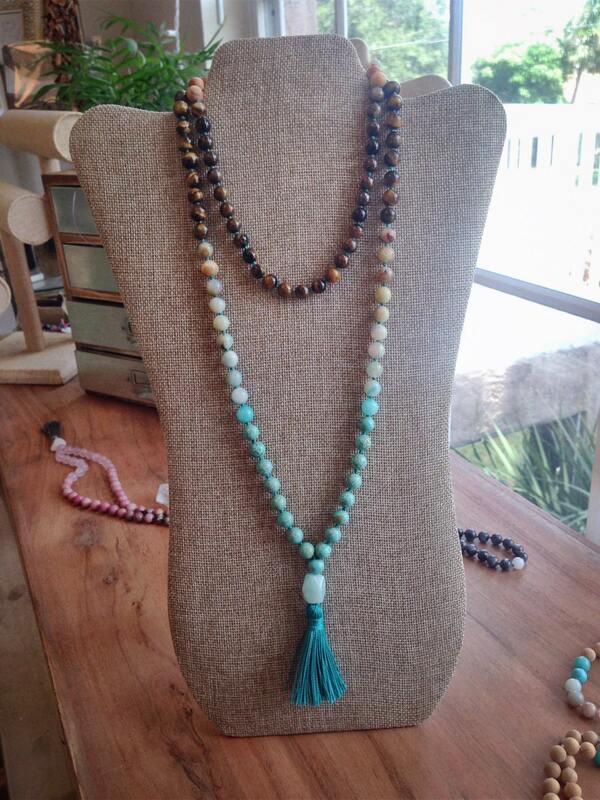 Often called prayer beads, anyone can wear these beautiful pieces. You don't have to be religious or have any spiritual practice. You can simply wear them as a reminder of all of the beauty and strength that resides within YOU! They can also remind you of intentions you have set and your ability to calm your mind and body by using the simple gift of your breath. Each mala is a unique combination of gemstones, rudraksha seeds and sandalwood from India. The gemstones Jessie uses are believed to offer different healing qualities. For example, rose quartz is believed to open the heart chakra, amazonite can help you tap in to your truest most authentic self. Each bead is hand-knotted. If you choose to use your Mala for meditation practice, you can use each bead to mark the number of times you repeat an affirmation or mantra. A mantra is a word, sound, or phrase repeated to aid in your concentration. The word mantra roughly translates to “free your mind”! It can be as simple and as powerful as “I am love” or “Aham Prema” in Sanskrit.